We had lots of fun in the sun today, embarking on 2 marine safaris through the area and traversing on a flat sea between our animal hotspots. 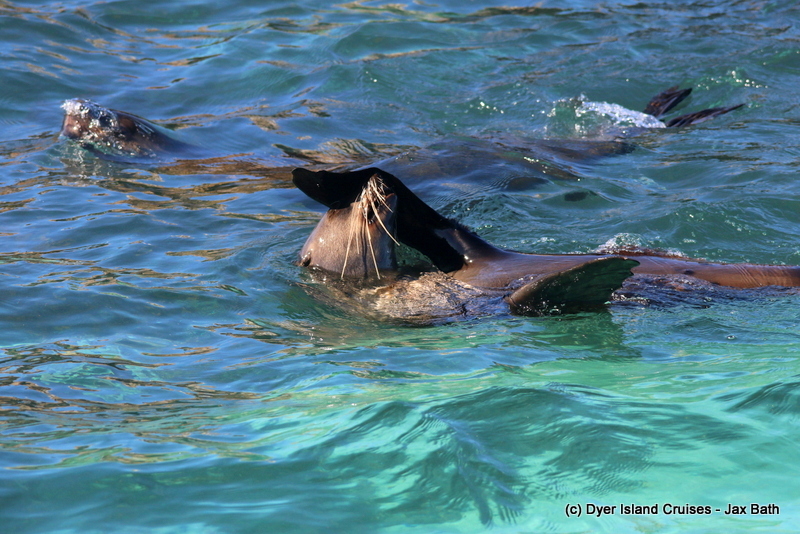 On both tours today, we sighted an Indian Ocean Humpback Dolphin, seals, penguins and of course our Copper Sharks. The sea was also absolutely perfect today with not a breath of wind and almost no swell running in. 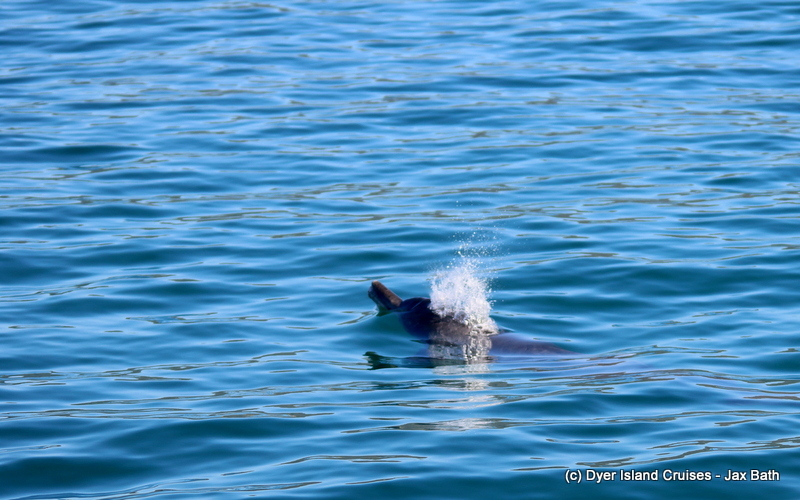 The first tour of the day started off with an Indian Ocean Humpback Dolphin who has been in the bay for the last while, we spent some time following this lone toothed whale about, and with such great visibility under the water today, we were easily able to predict where he’s surface. After spotting him, we went over to Slashfin to spend some time with our favorite cartilaginous creatures, the sharks. 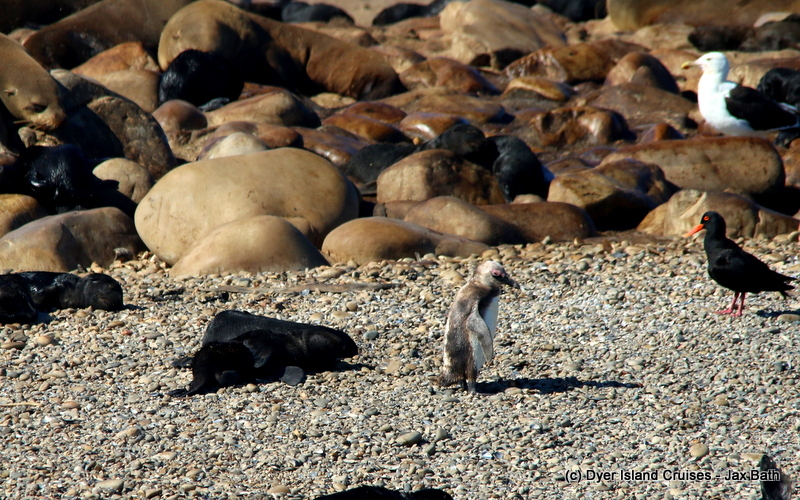 We got to see them a couple of times before heading into Sponge Bay where we found some African Penguins sitting on the guano covered rocks of Dyer Island, which was once covered in African Penguins. Today, we often see them sitting in the gullies close to the waterline, although there are far less than what we once had. 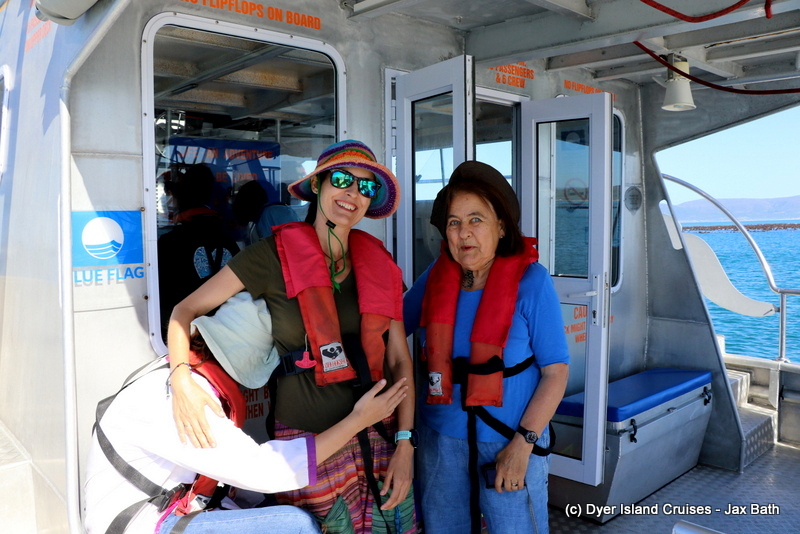 After a stop at the seals we made our way back into Kleinbaai Harbor to pick up our next group. 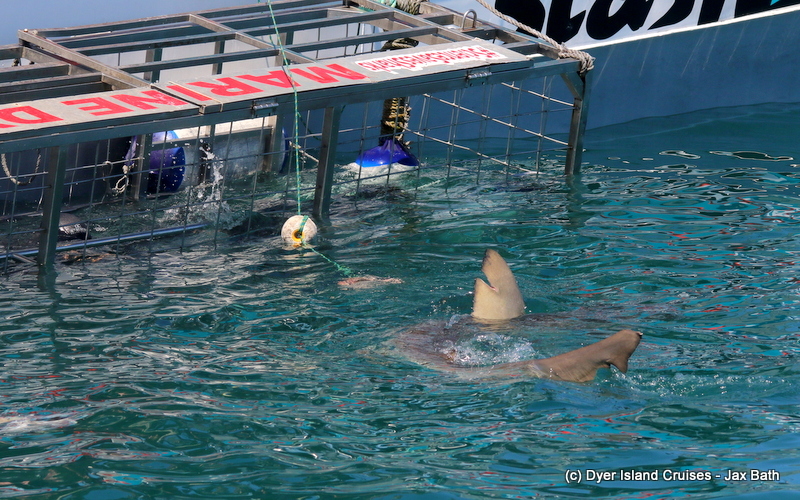 On this tour, we started off with the unusual and fascinating sight of not one but 2 free swimming Copper Sharks in shallow water. It was incredible to watch their silhouette against the the white, sandy bottom and we had an awesome time tracking the sharks through the bay. We then stopped over at Slashfin to get another look at the sharks, spotting the dorsal fins popping out the water before making our way towards the island systems. 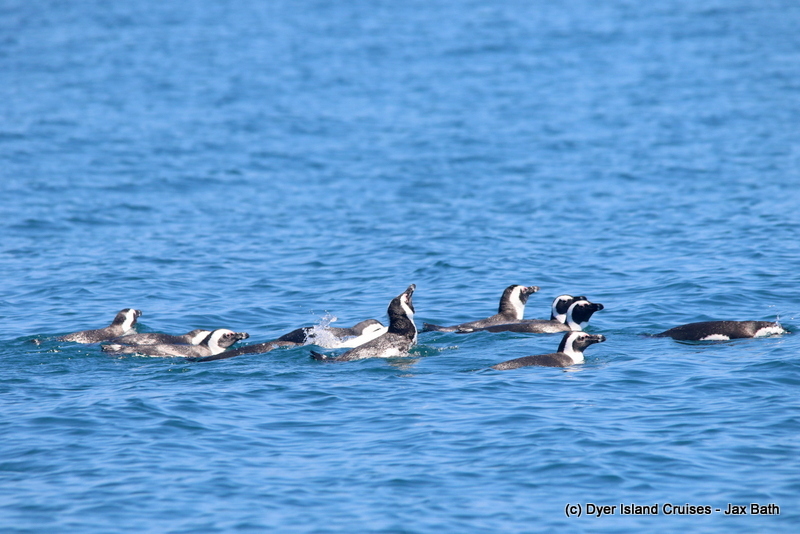 Along the way, we got lucky and spotted a large raft of African Penguins taking a bath in the water. We stopped to watch them, taking in the sight as quite often when the penguins are in the water they’re on the move and don’t hang around all too long. Once the penguins had taken a dive, we went over to geyser rock to take in the sights, sounds and smell of 60 000 Cape Fur Seals. 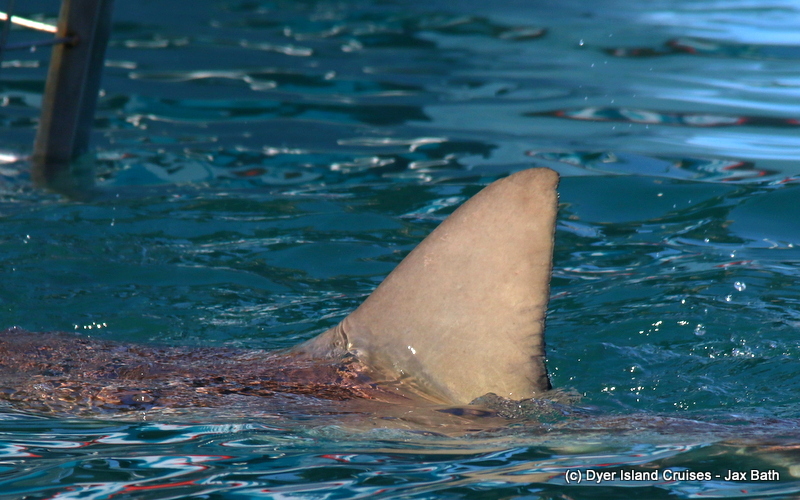 The dorsal fin of a Bronze Whaler. 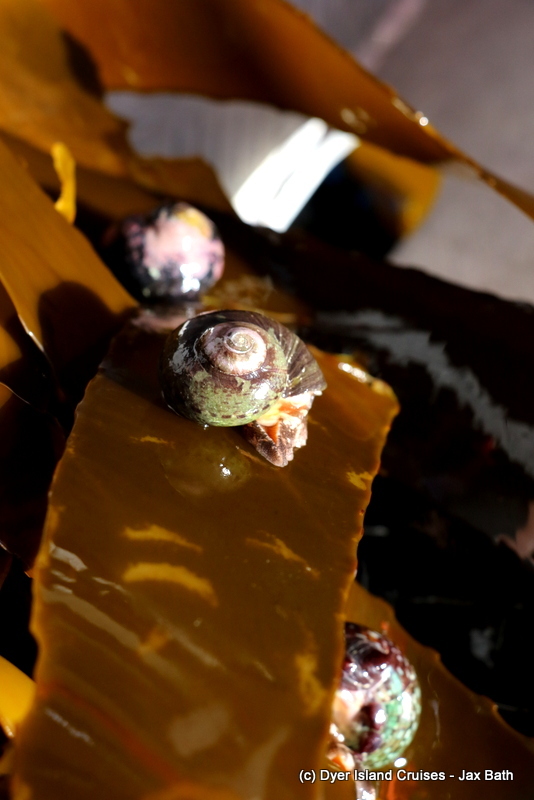 A sea snail eating some Sea Bamboo. 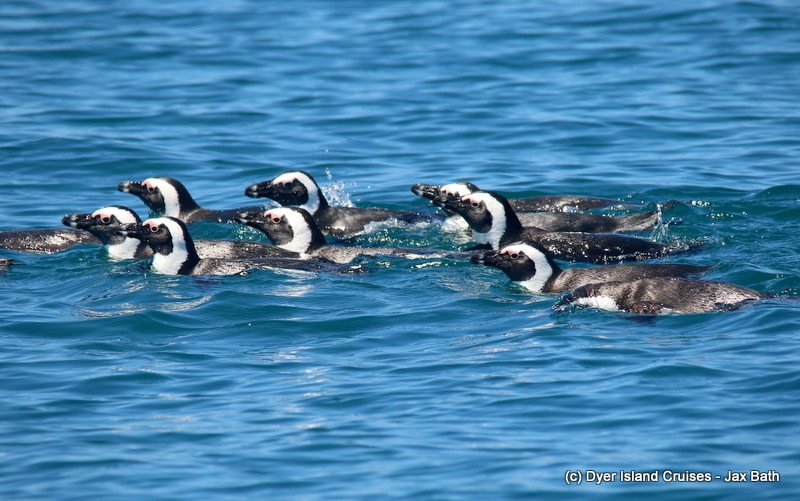 African Penguins taking a bath. These penguins were super relaxed. 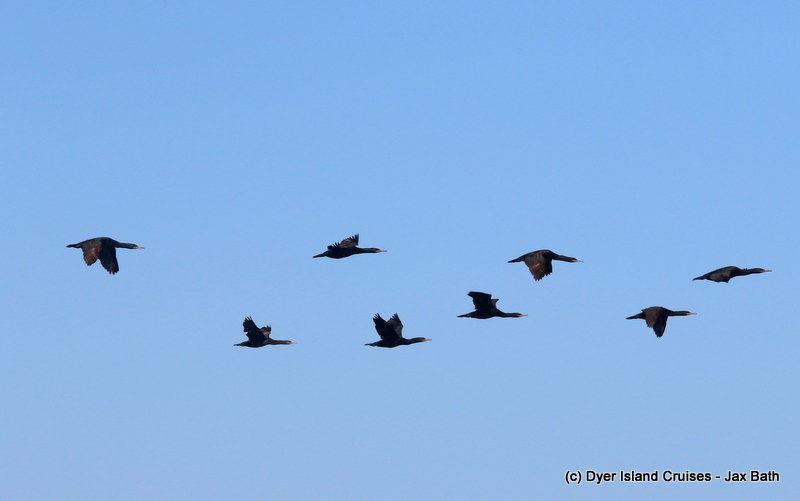 Cape Cormorants heading back home from some fishing. 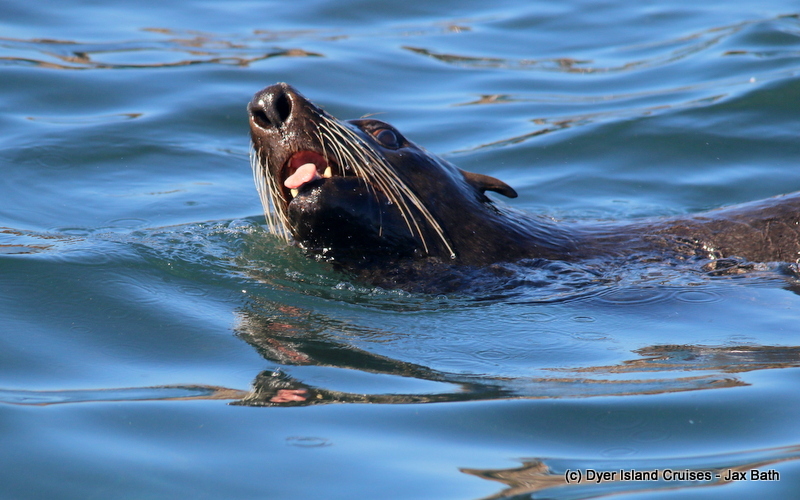 A cheeky Cape Fur Seal. 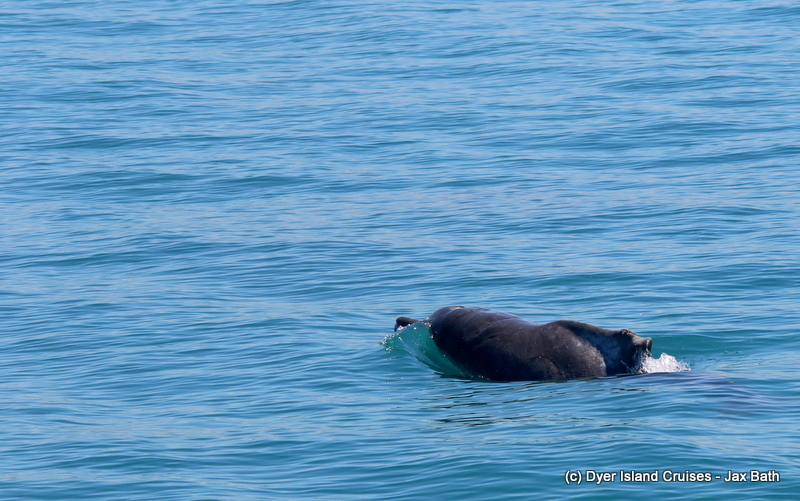 A Cape Fur Seal having a scratch.